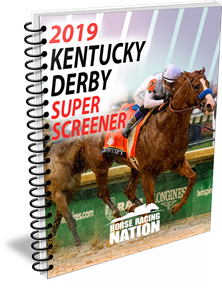 Super Screener readers cashed on Kentucky Derby Day! 21 recommended Trifecta tickets hit – here’s a look at some of those winners! What a Derby! What a horse! What a fast pace! 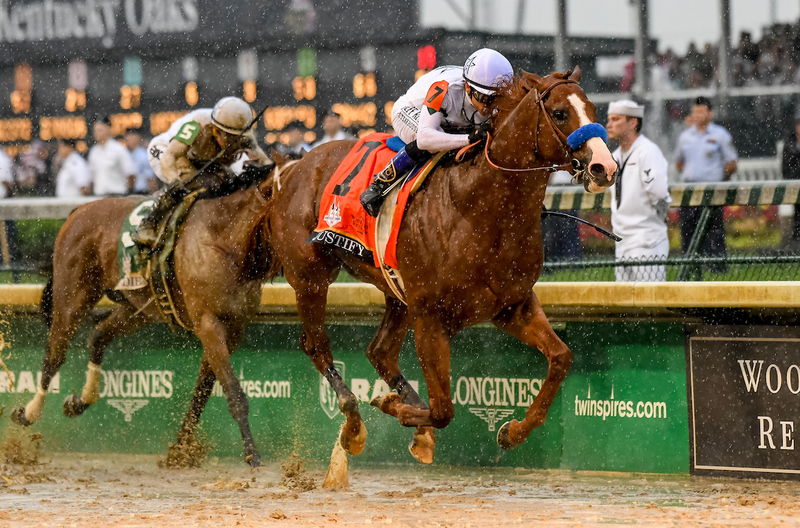 Given that the early fractions from this year’s running of the Kentucky Derby came back to a BRIS figure of 103, it is astonishing that the winner, Justify, was able to run that fast early and still draw away through the wire with authority on what was yet another Kentucky Derby run on a dreadful, sealed, sloppy surface. He is the first horse to win the Derby without racing as a 2 year-old since Apollo achieved that feat back in 1882. He also won the Derby having raced just 3 times which makes him only the 2nd horse in the 144 runnings of the Kentucky Derby to do so (Big Brown was the other horse to win with only 3 starts). Our lone two “A” horses nearly finished 1-2 in the race, but Audible, while coming on late, missed 2nd place to Good Magic (a prominent Super Screener Super 7 member) by a diminishing head. Both of these horses impressed and will be heard from later this summer. 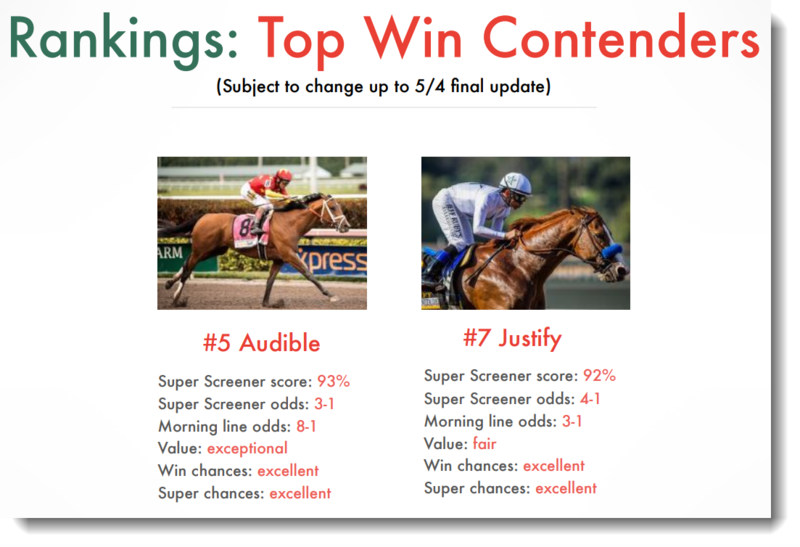 We achieved our stated goal of hitting the Trifecta with three horses from our top seven ranked horses while having our “A” horse figure prominently in the Trifecta. 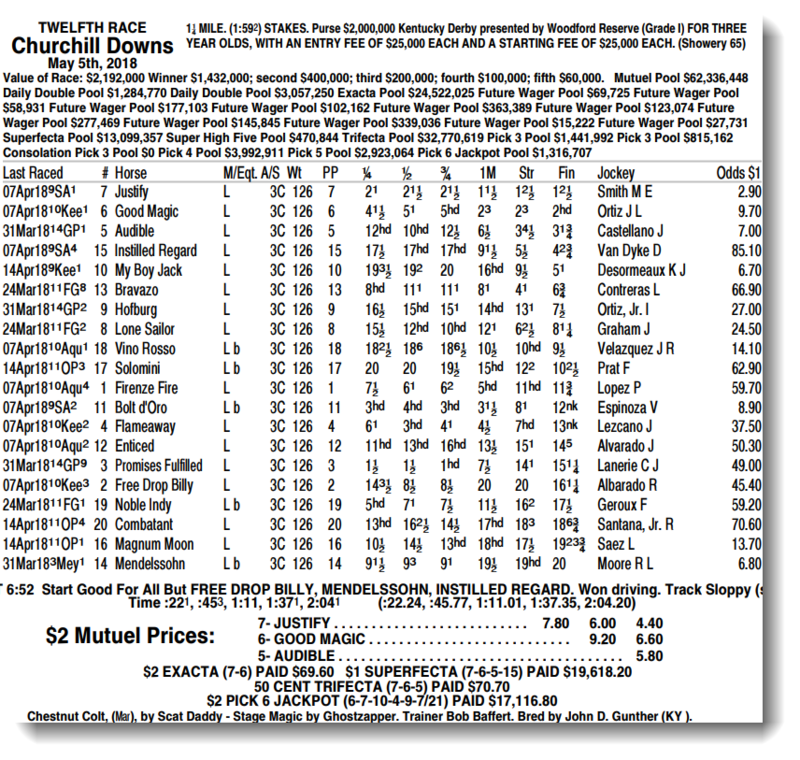 (27-1) finished 7th but clearly suffered the most troubled trip of any horse in the field. He had three points in the race in which he had to steady severely costing him many precious lengths. 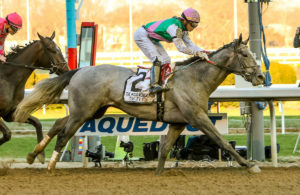 A better trip easily puts him the Trifecta and he is definitely a horse to tab the next time he runs which will probably be the Belmont Stakes…though if we were connections, given his horrible trip and how lightly raced he is, a run in the Preakness might prove to be surprisingly successful. The other Super Screener Top Long Shot pick that was under consideration was My Boy Jack, but mysteriously, he went off as the 2nd lowest price horse on the board at 6-1 which eliminated him as a Super Screener Top Long Shot pick though he was highly regarded by the Screener. Still can’t figure out how that could be, but perhaps the name is catchy enough to have drawn in a lot of wagering dollars from the general public at large. He finished a very fast-finishing 5th and that is after having to hit the breaks twice during the running of the race. He’s another that with a clean trip would have easily cracked the Superfecta. With Justify finishing first and two single-digit odds horses completing the Trifecta, payoffs for the Exacta and Trifecta were pretty thin, but that meant more suggested tickets cashed which is want you want to see when the payoffs are low. It is now on to the Preakness Stakes and it will be interesting to see who will try to take on the mighty Justify. And, don’t worry if the race comes up chalky with a small field, we’ll go to the Horizontal wagers to look for and deliver value. 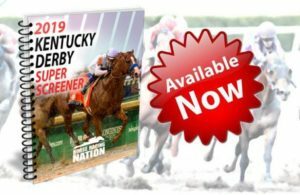 We can’t thank you enough for your continued support of our Kentucky Derby, Triple Crown, Breeders’ Cup and weekly Super Screener product. It is our absolute pleasure to serve you with this form of deep and thoughtful analysis while educating along the way. We wouldn’t be here without you so a big THANK YOU from your Super Screener team. Best of luck to you over the last two legs of the Triple Crown … could we have a Triple Crown winner in the making? Justify sure validated his Derby favoritism and “A” rating in an emphatic way. Until next time…Go Fast and Win! You provide a lot of good info and I appreciate it my handicapping has gotten better because of you THANKS! Thanks so much for a job well done. I hit the triple and made money on the single wagers WPS on Justify and Audible. Super screener is a great product with content so easily readable.I learned a lot and again thanks for your hard work. AND PROCEEDED TO PASS 15 HORSES. IN MY OPINION, I BELIEVE HE FINISHED FASTER THAN JUSTIFY. REMINDS ME A LOT OF KEEN ICE AND I EXPECT HIM TO ACCOMPLISH A SIMILAR EFFORT WHEN HE GETS TO THE BELMONT, ESPECIALLY IF HE GETS A SMALLER FIELD AND PROBABLY WILL. THANK YOU FOR YOUR EFFORT. I DID NOT USE INSTILLED REGARD AND THAT RUINED MY SUPER WAGER. Thank you for continuing to provide me with weekly updates on the important races taking place. I began my subscription last year around Breeders Cup time and have thoroughly enjoyed what you send me. I’m not a big bettor but do enjoy making wagers. 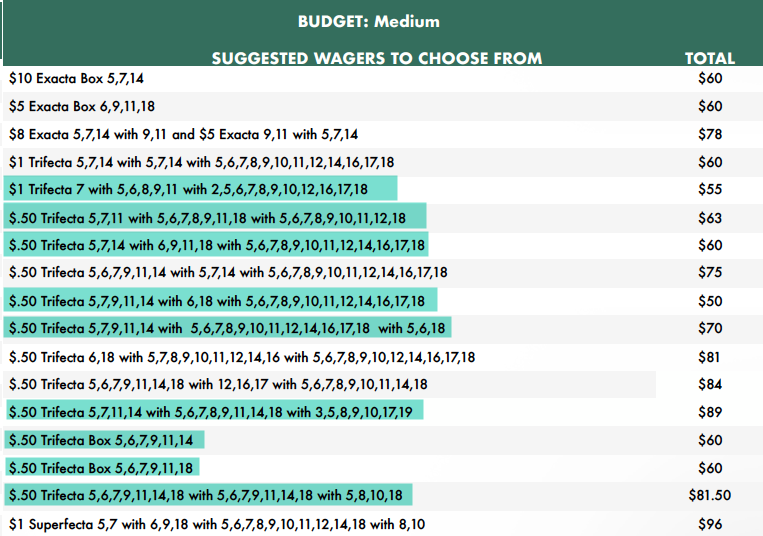 I’m progressing from the win, place and show wagers to the exactas, tri’s and supers. I had the exacta and tri in the Derby but not the Super. But right before Justify hit the 1/8th pole I knew I had the exacta and the tri and I knew I had 7 price horses that had a shot of getting 4th place for my Super. At that point I felt a “rush” go through my body I’ve never experienced in my life. I don’t do heroine, cocaine or anything like it but if the ruch I got is similar to the rush addicts get when they do drugs I understand why it must be so difficult withdraw from using drugs. When it’s time to renew my subscription later this year I will be doing so. I am now “hooked”. Thanks for your handicapping efforts. I used your info and was at the Derby to see the track conditions get sloppy. With your info, I hit the super by picking 7 with 5/6 with 5/6 with all. $34 ticket paid $19,800. The 7, 6, and 5 were all great out in front running picks with the 15 added in the unpredictable 4th spot for the whopping payout. Thanks for your efforts and the classification of racing style of each horse really works. This KD was soooo much fun – it was even funner cashing my $60.00 win ticket AND cashing my 2 trifecta tickets! I love Super Screener for the Breeders Cup and the KD prep races & the Triple Crown. I’ve won a lot of trifecta’s and some superfecta’s thanks to what I learn from you. You thanked us but REALLY, I want to THANK YOU for the great job your team does!!!! !